Koh Samui provides everything you need for an exotic island getaway; sugar white sand, swaying palm trees, secluded coves and luxury villas. It’s easy to see why it’s one of the most popular islands in Thailand – the island is full of natural beauty, and surrounded by coconut groves and dense rainforest. 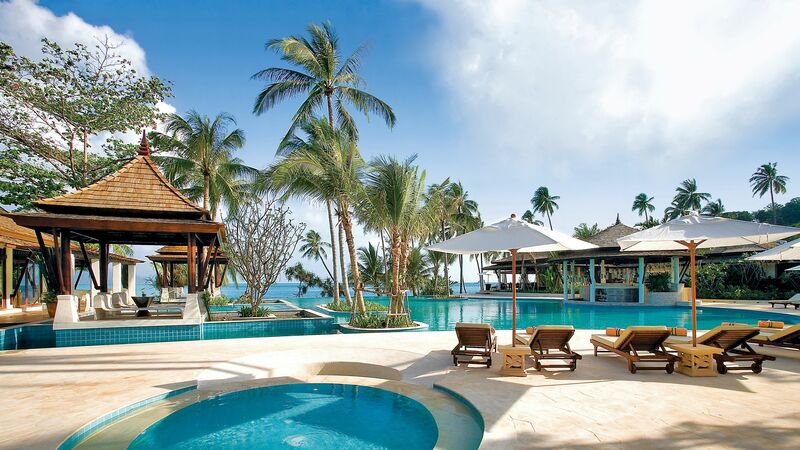 So, grab a fresh coconut and relax, as Koh Samui promises a truly luxurious escape. Koh Samui is the perfect location for couples, families and solo adventurers alike. Whether you’re looking for a sun soaked escape for relaxation only, or you’re looking to get active, the island has something for you. Choose to book an island hopping tour through the marine national park, take a 4WD tour through the jungle or enjoy an afternoon of sea kayaking. Those who enjoy diving will be thrilled to know that Koh Samui is also a great base from which to explore some of Thailand’s best dive sites. Expect to see a large diversity of tropical fish and dazzling coral reefs - and it’s not uncommon to see turtles. 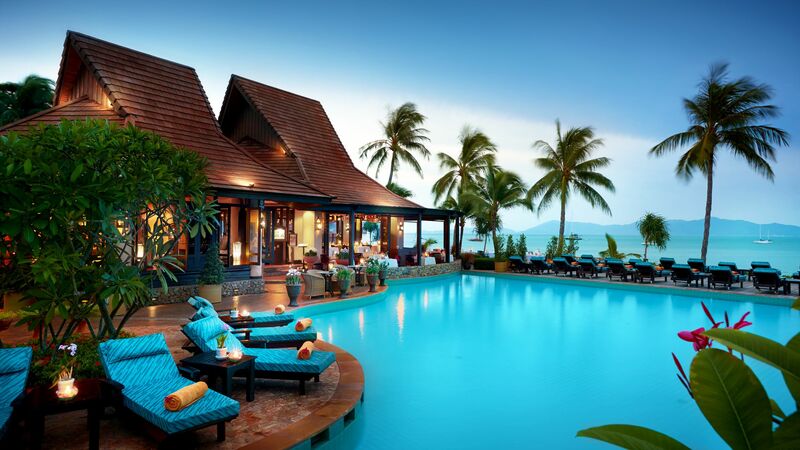 Holidays in Koh Samui comprise of languid beach days, where you’ll be able to swim and sunbathe on one of the most beautiful islands in Thailand. Expect to enjoy gourmet dining and upmarket shopping, from designer stores to smaller local markets. There are also plenty of opportunities for massages on the beach or a full day of indulgence in a deluxe spa centre. We recommend a stay at Six Senses Samui, an intimate resort where guests can enjoy their own private villa set among tropical forest. 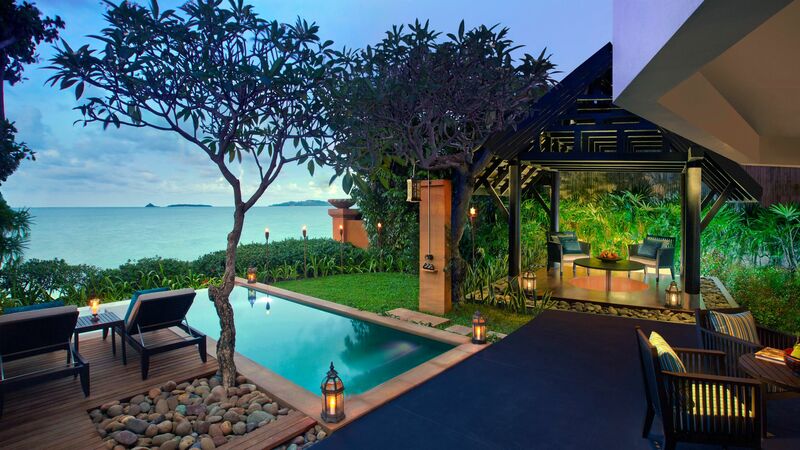 The villas offer staggering views over the ocean and many of them even have their own private pool. Enjoy the resort’s award winning restaurant “Dining on the Rocks,” which sits on the tip of a headland and provides world class views over the Gulf of Thailand. 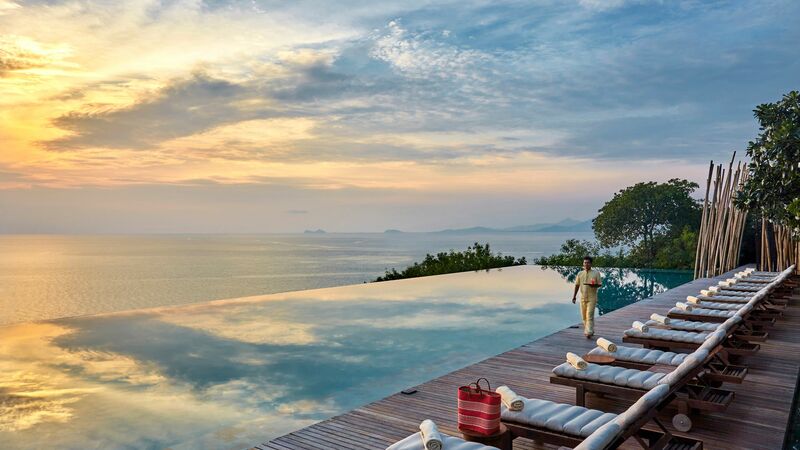 Don’t forget to take a dip in the infinity pool or indulge in the Six Senses Spa. Koh Samui's airport is one of the most extraordinary airports I have ever flown into, with its beach hut-style building and surrounding greenery. There is nowhere else in the world where you feel like you are on an exotic holiday before you have even left the airport! Ang Thong is an archipelago of islands close to Koh Samui. As it's a national park, only approved boats can enter. Join a trip or charter a private boat for added luxury and spend the day exploring jungle-clad mountains, discovering virgin beaches and hidden coves, and snorkelling among hundreds of tropical fish. If you've got a window seat on the plane, you'll spot the Big Buddha Temple before you even land on Koh Samui. The temple, also known as Wat Phra Yai, is home to a huge, 12-metre-high gold Buddha statue, which sits serenely at the top of a flight of stairs. Stop by early in the morning and you'll see locals lighting incense and leaving offerings of fruit and flowers at the base of the statue. Na Muang is actually two separate waterfalls - imaginatively named Na Muang 1 and Na Muang 2. The name comes from the purple hue of the rocks that they tumble down. Na Muang 1 is the larger and more impressive fall. It flows into a natural pool at the bottom, which is surrounded by bottle-green jungle. Flight time from the UK to Thailand is approximately 11 hours 30 minutes. Transfer time from Koh Samui airport to Koh Samui is approximately 15 minutes. Thailand has a tropical climate, which means it’s hot and humid for most of the year. Rainy months vary depending on where you are in Thailand: in south-western areas like Phuket, the monsoon season starts around April and finishes in October, while south-east destinations like Koh Samui see more rain between September and December (there’s still plenty of sunshine between showers, though). The hottest months are March to June, although humidity is high and average temperatures can push 40°C. Wait until after the rainy season if you prefer slightly cooler temperatures – between December and February, averages stick to the high 20s and early 30s. British passport holders do not require a visa for stays of up to 30 days. Tipping is not expected in Thailand, although most hotels and restaurants will include a 10% service charge. The official language of Thailand is Thai. English is widely spoken too. How easy is it to visit other islands from Koh Samui? Day trips to nearby islands is a popular activity due to the nearby Angthong Marine National Park, an archipelago comprising 42 islands. The largest is the well-known, and dramatically beautiful, Koh Phangan. The journey takes an hour by private speedboat. Public ferries also regularly run.